As one of the Southwest’s largest and most versatile paper merchants, we provide sample services that will help position you as a more competitive resource to your clients. Send a request in at the start of your project so we can be sure to have what you need, when you need it. Please allow 48 hours for all orders to be processed. This form is only for customers in the Dallas/Fort Worth area. Samples are for pick-up only at the discretion of the sample room staff. Because of the high volume of sample requests that we receive, we are not able to service students at this time. Not in the DFW area? 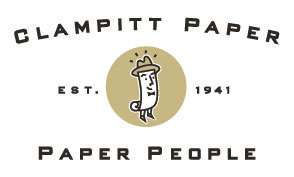 Call your local Clampitt Paper location to reach one of our other state of the art sample rooms.